This lemon tart is a winner! Unlike a traditional curd filled tart, this no-bake filling has the same silky, creamy texture as a baked tart, but without the fuss. I used Pierre Hermé’s recipe, which is basically 80% butter…but it’s definitely worth it. Using a blender to incorporate the butter into the filling results in light, mousse-like cream that has just the right amount of zing. I added extra lemon zest to the recipe, which I found posted on Bertha’s addictive Gourmet Baking Blog. For the base, I used this recipe from Dorie Greenspan’s book ‘Around my French Table’, which is full of doable, affordable, delicious French recipes. I always double the recipe, and tightly wrap any leftovers in cling film. The dough can then be stored frozen for up to 1 month, or refrigerated for 5 days. In a mix master with a dough hook or a food processor, pulse the flour, icing sugar and salt a few times to just combine. Add the cold butter pieces and continue pulsing to coarsely cut the butter, until the mixture is crumbly. Don’t worry if there are still small pieces of butter visible. Gradually add the egg yolk, pulsing well between each addition. Once all the egg is added, process the mixture in 10 second bursts, until the dough starts to form clumps. Turn the dough out onto a lightly floured surface, and kneed gently to ensure all dry ingredients are well incorporated. The dough will be soft and buttery, but should easily hold together. 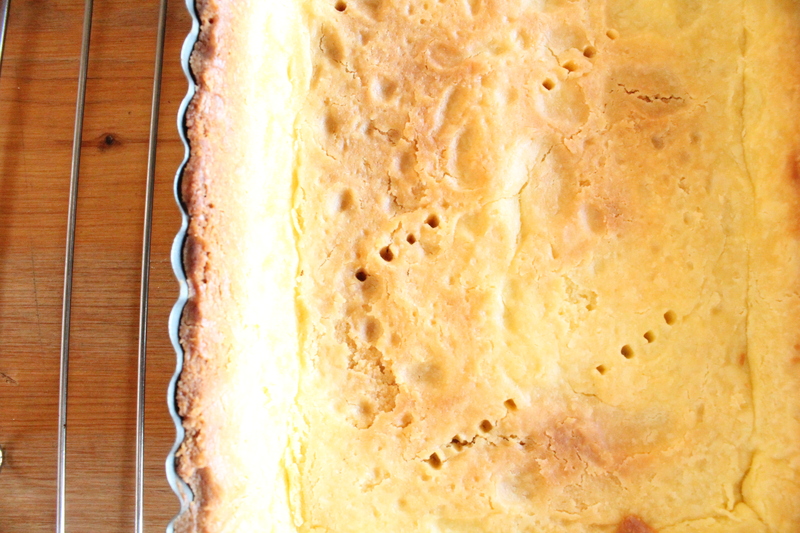 Press the dough directly into a buttered tart tin, and cut off any overhanging remnants with a butter knife. Prick all over with a fork and press aluminium foil tightly against the dough before filling with rice, dried beans, or tart weights. Freeze for at least 30 minutes, or until very firm. 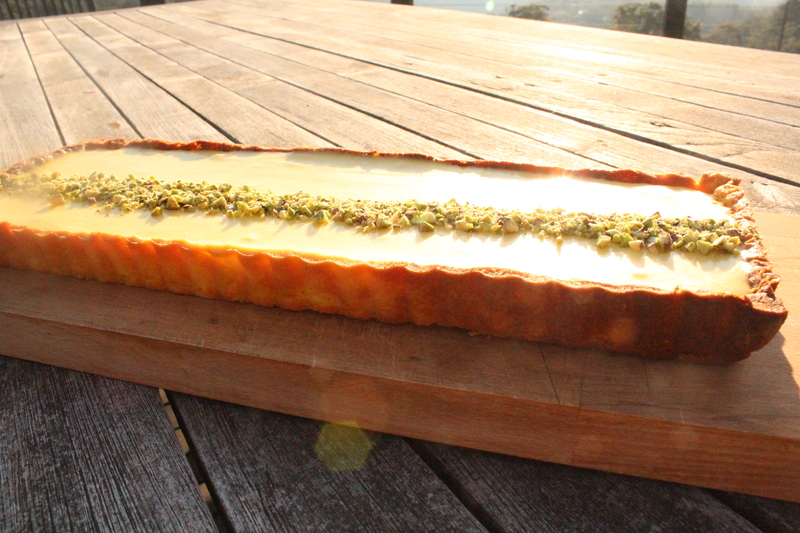 Preheat the oven to 180°C/375°F fan-forced, and bake the tart shell from frozen on a centred rack for 20 minutes. Remove the foil and weights and, if the base of the shell has puffed up, press it down gently with the back of a spoon. Bake for another 8 minutes until just golden brown. Remove the shell from the oven and leave to cool completely in the tin before filling. Rub the lemon zest and sugar together in a bowl, until all the liquid is squeezed from the zest and the sugar is moistened. 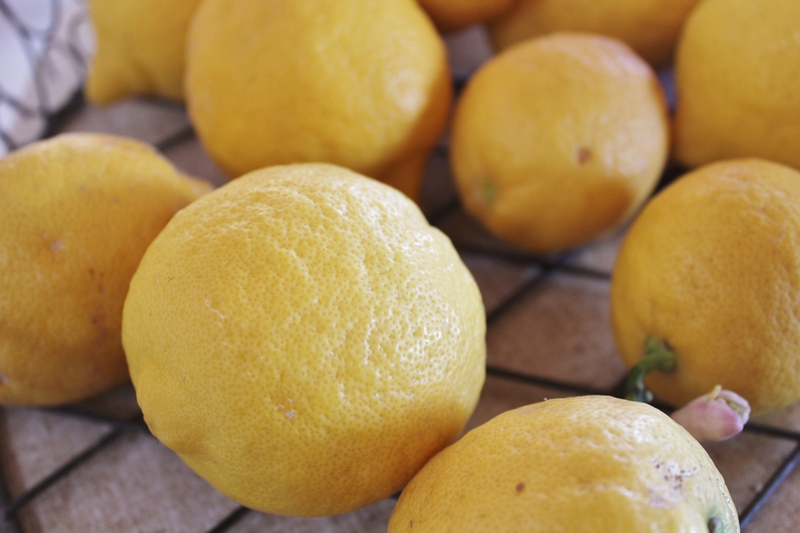 Leave the mixture in the fridge for 15 minutes, to allow the sugar to be infused with the lemon oil. Place a heatproof bowl over a saucepan of boiling water on medium-high heat. In the bowl, combine the lemon sugar mixture, juice and eggs. Constantly whisk the mixture for 5-10 minutes, until it reaches 85/86°C. At this point, the sugar should be dissolved and the mixture slightly thickened. Strain the mixture using a fine metal sieve into a clean bowl, and allow to cool for a few minutes until it reaches 55-60°C. Keep an eye on it as it will cool quickly! Once cooled, transfer the mixture to a blender and on medium speed add a couple of cubes of butter at a time, blending for a few seconds between each addition to form an emulsion. Alternatively, use a hand blender. Once all butter is incorporated, the mixture will appear creamy and light in colour. Continue to blend for a few minutes to ensure consistency and a mouse-like texture. Pour the mixture directly into prepared case and refrigerate for at least 2 hours until set. Alternatively, transfer mixture to a bowl and cover tightly with cling film before refrigerating. Once you are ready to use the cream, heat it for a minute or so over a saucepan of boiling water, just until the mixture loosens slightly to a pouring consistency. It will still retain its airy consistency if re-refrigerated after gentle heating. However, take care to only re-heat once and only for as long as is necessary, to ensure the cream doesn’t split or lose texture. Before serving, sprinkle an even line of chopped pistachios along the length of tart. Store the tart covered and refrigerated for up to 3 days. Best served on the day of baking.